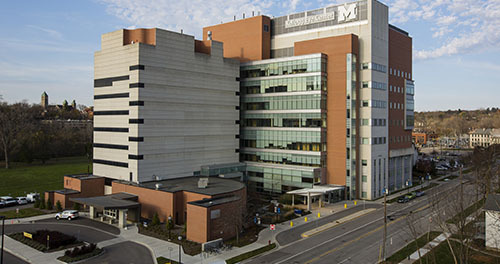 The University of Michigan Kellogg Eye Center is known for providing exceptional eye care to patients who visit us from every part of the country and around the world. Our ophthalmologists have expertise in all aspects of eye care and eye disease, bringing the latest medical, surgical, and research advances to benefit patients with eye disease or impaired vision. 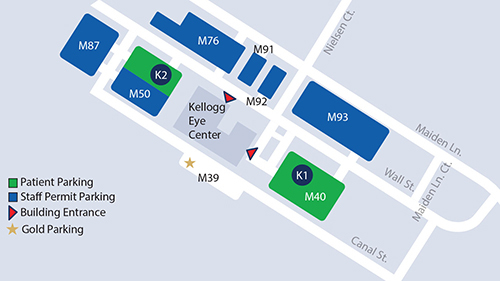 Kellogg’s areas of specialty include the Thyroid Eye Disease Center, Ocular Oncology, Retinal Dystrophy, and subspecialty care in Pediatric Ophthalmology. Our comprehensive and subspecialty clinics serve patients seeking the most effective treatments in glaucoma, retinal disease, cataract, corneal disease, trauma, and diabetes-related eye disease. With our primary location in Ann Arbor, we have eight community offices to serve patients in surrounding communities. Kellogg’s faculty and staff are united in a single purpose: to improve patients’ lives by curing, treating, and preventing eye disease. To make an appointment, please call 734-764-4190 or any of the clinics listed below. If you have an emergency, please call 734-936-6267 and ask for the ophthalmologist on call. You also may go directly to the U-M Emergency Room (See map - emergency rooms on this map are marked with a red cross).